A couple of weeks ago, I was in Cape Cod and Boston. From Los Angeles to Boston, the redeye flight was so cheap that I jumped on the price without questioning it. As the departure date was getting closer, I started dreading the fact that I chose a redeye flight. 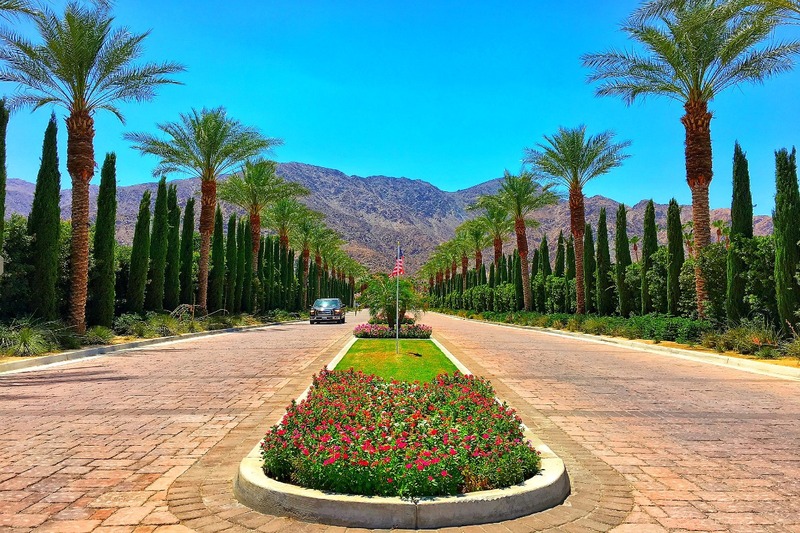 There are definitely pros to it; they tend to be cheaper, you forgo paying an additional night at a hotel and you get a full day to enjoy your destination. But the struggle is real when it comes to overnight flights, agreed? For my redeye flight to Boston, I did my best to make the most out of it including a positive attitude. Guess what? It wasn't all that bad! 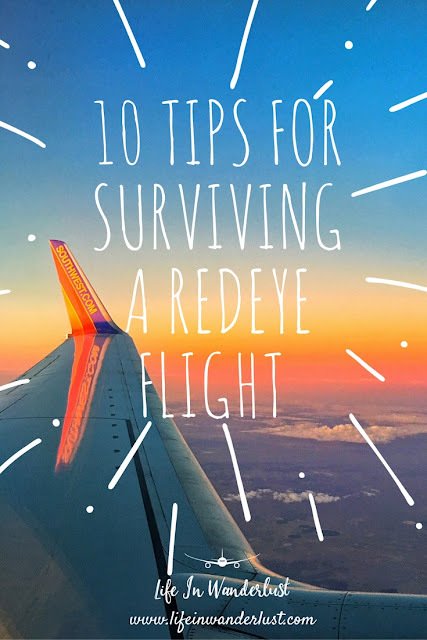 So here I am, sharing the 10 things I did to help you survive the infamous redeye flight, too! If you have flight anxiety on top of that, click here for my Fear of Flying post! Melatonin - Medication is never the answer to sleeplessness but a lot of Melatonin pills are natural. It induces sleepiness and makes you fall asleep faster with supposedly a better night's rest. I take Melatonin pills even at home since my mind runs wild at night and have had issues falling asleep. Personally, I think Melatonin is a better option than taking Tylenol PM or Ibuprofen unnecessarily. Drink H2O - Seems obvious to stay hydrated inflight but drinking pop or alcohol during a redeye can in reverse, cause dehydration. Not to mention the possible effect of caffeine. Stick to the H2O during an overnight flight! Dress Appropriately - This below is exactly what I wear for redeye flights. A baggy cardigan that can act as a blanket, comfortable and stretchy yoga pants, a loose t-shirt and slip-on shoes. To each their own but I won't be caught dead wearing pajamas to the airport let alone in public so I try to get as close as I can to sleepwear! Brush Your Teeth - Most of us have conditioned our minds that shortly after we brush our teeth at night, it's time for bed. That's why I believe in brushing my teeth right after boarding. This way, your mind will get into sleep mode and hey, clean teeth are important! I always carry on this toothbrush kit for convenience. Avoid Electronics Before Flight / Night Time Mode - This is true for anytime you're trying to get sleep but it's especially crucial for redeye flights. After the safety video, turn off that screen, try not to play around with your phone or at the least, switch it to Night Mode. This keeps your mind from being too active to ease into sleep. Prepare Redeye Accessories - My carry-on accessories differ from regular flights and redeye flights. I normally woudn't bring these items for a regular flight but I'll do anything to be comfortable! I bring an eye-mask, eyedrops, face-wipes and motion sickness bands along with a good neck pillow and sound-canceling headphones. Eat Before the Flight - Your goal is to fall asleep as soon as you board. Eating mid-flight of a redeye can make you feel full, uncomfortable and throwing off your body from the norm, causing difficulty in sleeping. 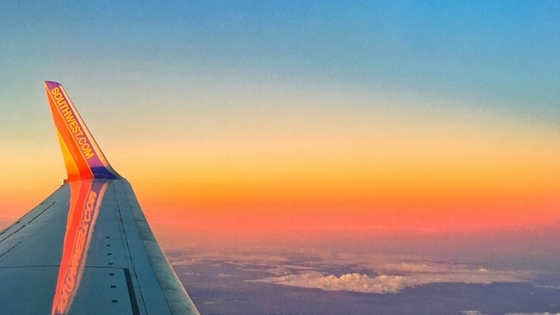 Choose Seating Wisely - While window or aisle seats depends on preference, one thing is for sure when it comes to redeye flights. Don't choose exit row, non-reclining seats and seats by the galley or the bathroom. If you're not sure which seats don't recline, check on Seat Guru. That's been my go-to website for years! Choose Flight Options Wisely - I know this isn't possible for every case but try to book a nonstop redeye to your destination. There's nothing worse than managing to fall asleep and having to wake up at 2AM to connect to your next flight. 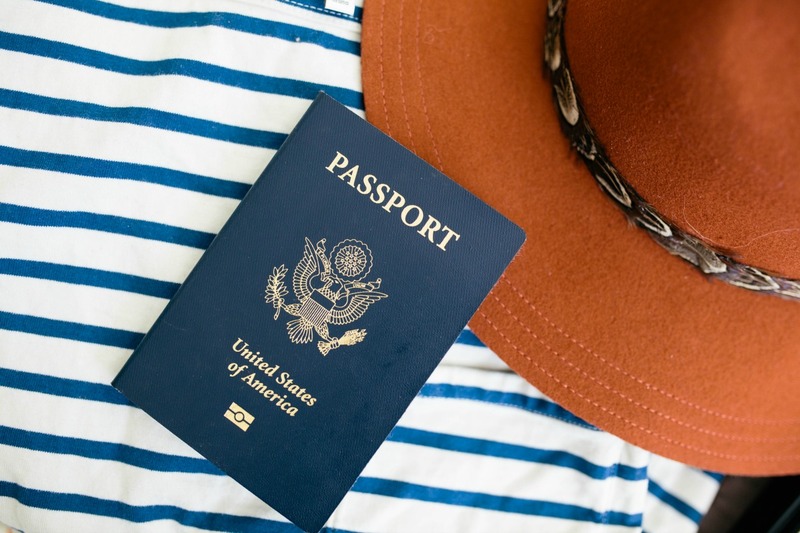 Keep in mind there's a difference between a direct flight and a nonstop flight: direct flight means the plane will directly get to your destination but not necessarily without making a stop. A nonstop flight is just that, no stops. 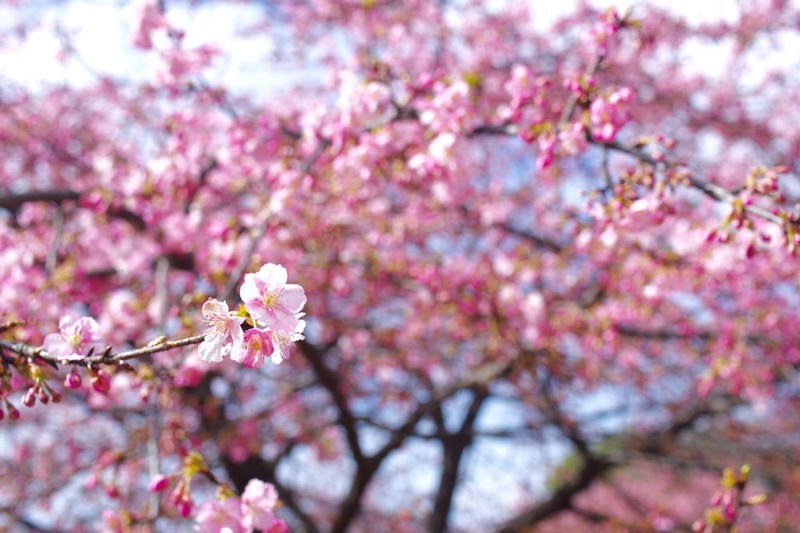 Listen to Soothing Sounds or Calming Music - Pretty self-explanatory, right? If you can't be bothered to make a playlist yourself, most music apps will have their own or user-generated playlist perfect for sleeping. My favorite app for soothing sounds is Noizio. You can pick from several different sounds that drown out unwanted noises. I use this almost every night to help me sleep! Do you have any tips to share when flying a redeye flight? Share your knowledge and expertise in the comments below! Some links in this post are affiliate links - thank you for your support! I actually love flying redeye so I can try to sleep before waking up to my destination. You have amazing tips! This is actually so helpful! I have major struggles sleeping on planes! Which can absolutely kill you the next day, especially for long haul! I didn't even know melatonin was a thing - and I totally agree about not taking painkillers unnecessarily! Great post! Excellent tips! One thing to be cautious of... don't pass out or take sleeping aids before takeoff. Just in case (G-d forbid), something happens and you have to get off the plane, you need to be able to do so. I took a red-eye to Barcelona about a week ago. I find your last tip so valuable; calming music makes all the difference. I have mixed experiences with red eye flights. Sometimes they are fine and other times they are painful. My problem is that I cannot sleep in planes. For people like me, I recommend having something to keep your mind busy, bringing something to eat (you will need that if your flight is longer than 8 hour) and trying to score a seat in the emergency aisle. Love these tips! I end up on red eyes a lot, for the price and trying to maximize time in a destination, but I hate getting off the plane feeling groggy and grumpy. Great tips Kana! I'm not a fan of red eye flights but sometimes they're necessary for the price difference! I just bought a red eye from Hong Kong to Taiwan that was $250 cheaper than any other option for my partner and I, not super long flight thankfully, but I'll keep these tips in mind. I've heard melatonin can work wonders. Love these tips! I hate red eye flights and avoid them like the plague but sometimes coast-to-coast flights, red-eyes are mandatory. I'll have to try them if I ever do one again!